Unfortunately for the Meigs Lady Marauders, the season has come to a close, after a close playoff matchup against the Oak Hill Lady Oaks. The girls played their hearts out all night long, but it just wasn’t enough, falling 41-39. The Lady Marauders were going into the playoffs on a two-game losing streak. They were handed the losses by Nelsonville-York and Warren, which were very close games. The Lady Marauders were going into the game hoping to advance in the post season, however the game did not end in their favor. 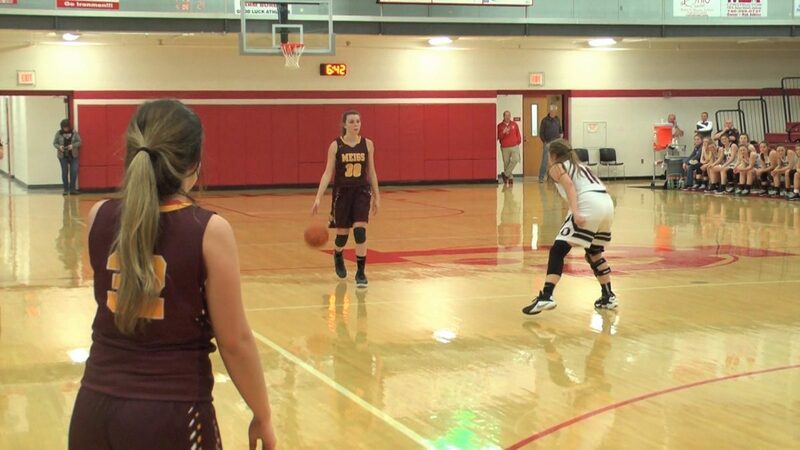 Both, Oak Hill and Meigs, went into the matchup with 10 season wins, making them a great competition. Right from the start of the game it was easy to tell how similar these teams played and that it would be a very close game. And it was! By the end of the first half, Oak Hill had the lead 21-13 but it only got closer from there on out. Throughout the entire match both teams played tight defense, which caused a low scoring game. They were boxing each other out and not losing their balance making it hard to put the ball in the basket. However, although the Lady Marauders gave this game their all, multiple factors contributed to their loss. The Lady Oaks ended up at the foul line too many times to count and those points added up. The Lady Marauders gave up 14 points total because of their aggressiveness. The Lady Marauders also struggled to make shots throughout the night. They had their shots up there, but they just were not going in. Basketballs were bouncing off the rim, and they couldn’t grab enough rebounds to make up for it. Leading scorer, Kassidy Betzing had earned all seven points on the board in the first quarter and ended the game with 15 total points. In the last quarter, Betzing was not slowing down. She was running up and down the court fighting for her team to come out with the win. With five minutes left in the fourth quarter Oak Hill was leading with a four-point difference, which continued to get closer. Within three minutes, there was a three-point deficit and with 20 seconds left, there was a two-point difference. Unfortunately for the Marauders, a quick turnover with one second left in the game, lost their shot at one more basket, and ended their season. The Lady Marauders ended with an overall great season, being fourth in the TVC-Ohio and earning a record of 10-13.